Samsung is now all set to release their new Samsung Galaxy S4 in the first quarter of 2013 after a huge of success of Samsung galaxy S2 and Samsung Galaxy S3. It is expected to be released around February-March 2013 with a huge expectation of dominating the Smartphone Market with its launch all over the world . Its price will be very close to the Samsung galaxy S3 around Rs36000-40000 . It is all set to beat the new Nokia lumia 920 and the latest iphone in the market . After a successful release of Samsung galaxy S3 all eyes will be on the release of the new Samsung galaxy S4 with an enormous expectation from people all around the world . The specifications of Samsung galaxy S4 are still not officially announced but according to the rumors it is expected that the Samsung galaxy S4 will feature a 5 inches FULL HD Display with a screen resolution of 1920 x 1080 resolution with an impressive high pixel density of around 440 ppi ( Pixels per inches ) greater than the iphone Retina Display providing superior image quality . Samsung galaxy S4 is expected to have a wireless charging feature built in similar to Nokia lumia 920 that provides mobile charging without actually connecting a charging cable to the phone. Operating on the latest Android Version 4.2 ( Jelly Bean ). It will give a stiff competition to all the smartphones that are presently present in the market.It is expected to have a powerful battery greater than the 2100mAH used in the previous smartphone Galaxy S3 but still we cant say much about the battery and other hardware specifications until Samsung officially reveal the Smartphone. So there is still sometime before we actually can have our hands on the new Samsung Galaxy S4. 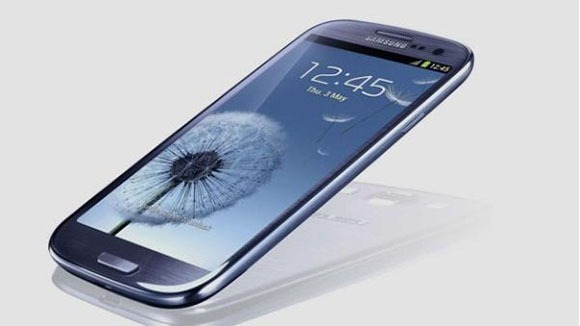 * Expected to be revealed around February – March 2013 and price very close to Samsung galaxy S3 around Rs36000-40000. So if you are planning to buy a new handset in coming few months you can consider buying Samsung Galaxy S4 .